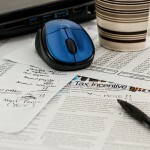 There are some misconceptions out there about estate taxes. In this blog post, we will provide you with the five essential facts about death taxes that everyone should understand. We have an estate tax on the federal level that is applicable in all 50 states. 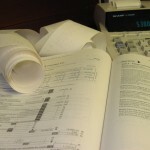 There is a certain amount that can be transferred before the estate tax would be applied. This is called the credit, exemption, or exclusion. The exclusion is inflation-adjusted each year. For the rest of 2016, the federal estate tax exclusion stands at $5.45 million. The top rate of the estate tax is 40 percent, so your legacy can be significantly impacted if the estate tax is applied to the taxable portion of your estate. If you have not looked into the subject, you wouldn’t worry too much about the estate tax, because you may think that you could just give gifts to your loved ones to avoid the tax. Unfortunately, this is not possible, because there is also a gift tax in place. The exclusion is a unified exclusion, so you would be reducing the amount that would be available to apply to your estate if you use portions of your exclusion giving lifetime gifts. In the end, there would be no benefit. If you are married, and you and your spouse are American citizens, you do not have to use any of your unified gift and estate tax exclusion to transfer assets to your spouse tax-free. There is an unlimited marital deduction that allows for tax-free asset transfers between spouses. When you digest this information, you may breathe a sigh of relief if the value of your estate does not exceed $5.45 million. Before you do, you should understand the fact that real property that you own and life insurance policy proceeds are part of your estate. Plus, there are also a number of states in the union that impose state-level estate taxes. The exact number is 14, and the District of Columbia also has its own state-level estate tax. We practice law in the state of Connecticut, and we are sorry to report that Connecticut is one of these 14 states. The state level exemption or exclusion is just $2 million in our state. 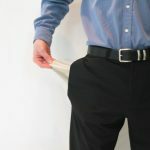 This means that you can certainly be exposed to the Connecticut state estate tax even if you are exempt on the federal level, and this is something that many people do not understand. On the state level, the maximum rate is 12 percent. Many of the 14 states that have state-level estate taxes are in the Northeast. For example, New York and New Jersey have state-level estate taxes, and the exclusion in New Jersey is just $675,000. 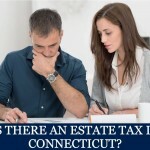 If you are a resident of Connecticut, and you own valuable property in a different state that does have its own state-level estate tax, the tax in that state could be applicable when your estate is being transferred to your heirs. If you hear the term “inheritance tax,” you may assume that it is just another way of referring to an estate tax. In fact, this is not the case. The estate tax is applied to the taxable portion of the estate in question before the assets are transferred to the inheritors. Things are different with an inheritance tax. This type of tax can be applied on transfers to multiple different inheritors when the same estate is being administered. There is no inheritance tax on the state level, but a handful of states have their own state-level inheritance taxes. This time, there is some good news to report to Connecticut citizens. There is no state-level inheritance tax in our state. Nebraska, Iowa, Kentucky, Pennsylvania, Maryland and New Jersey are the states that have state-level inheritance taxes. 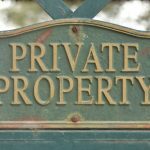 Estate taxes can be a source of concern for you if you are in possession of a good bit of property, and they should be. At the same time, you should understand the fact that you can position your assets in a tax efficient manner to preserve your legacy. There are various different types of irrevocable trusts that are used to gain estate tax efficiency, and there are other techniques that can be implemented as well. If you act in a fully informed manner, you can take the appropriate steps to mitigate your estate tax burden. We would be glad to explain your options to you. To set up a consultation, call us at 860-548-1000 or send us a message through this page: Hartford CT Estate Planning Attorneys.